When a sewer line or water pipe springs a leak or requires repairing, it can be an extremely difficult and expensive process when you’ve got to dig down to the pipe and repair it. Digging trenches requires extensive labor costs, not to mention using specialized equipment. Thanks to new breakthroughs, it is now possible to perform trenchless sewer repair, often at just a fraction of the time and cost of traditional repair methods. Below we discuss 10 useful facts about trenchless repair. As the name trenchless sewer repair implies, the technique requires only minimal digging. Concrete and pavement can be preserved, and lawns and gardens don’t have to be destroyed in order to repair a busted or leaking pipe. The trenchless system involves minimal disturbance, allowing homeowners and property managers to quickly resume normal operations. Using traditional techniques to repair pipes often exposes the pipes to more repairs in the near future. For example, if expanding tree branches are the source of the problem, then a traditional repair will do nothing to prevent future breaches. With the new technology, pipes are given a special epoxy lining, hardening the pipe against future intrusions and structural problems. The first way to save are by eliminating the need for an expensive crew to perform operations. The new technique involves just a technician or two, saving you a ton of money on labor cost. And, since there’s minimal cleanup involved after repairs have been performed, the total repair bill is even lower. Many pipes that need repairing are of the old variety, making the connecting joints vulnerable to leaks and damage. With the new technique, only seamless pipes are used, giving water, tree roots, and other sources of damage no way to gain entry to the pipe. The new technology can be applied where older techniques cannot. Whether you’re dealing with root intrusion, replacing an aging pipe, or dealing with calcification, it offers more flexible and economical options for repairing, replacing and installing new pipes. Many times; traditional repair jobs last days, if not weeks. Not only does this cause a general inconvenience, but often involves cutting off utility services until the repairs are finished. Trenchless repairs can be done much more quickly, getting your home or business back to normal as soon as possible. Because so little digging is involved; plants, trees, and landscaping are not disturbed. This means there’s no expense or difficulty involved with reforesting, replanting, and repairing natural areas. Soil remains undisturbed, and will thus retain its normal drainage and vitality, including its vital substructure and underground biosphere components. Old techniques involved doing a lot of digging before the source of the problem could be identified. Now a camera is lowered into the pipe, making it very easy to identify the exact source of the problem. 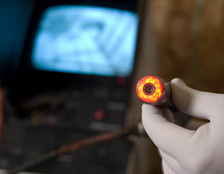 After a thorough video analysis has been performed, it is much simpler to design an effective and efficient repair technique to quickly ameliorate the problem. With seamless pipe technologies and the installation of a durable epoxy liner, you can greatly extend the longevity of existing sewer pipes. Aging pipes will be able to resist bursting and intrusions much better when treated. 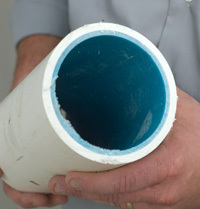 Hardened resin or epoxy sleeves function much like a second inner pipe, breathing new life into aging or degraded pipes. Digging a trench in the traditional manner can cause a great deal of harm to the environment. Trees and plants are uprooted, and large quantities of soil are dug up, their internal environment destroyed and degraded during the process. Birds, worms, and an entire biosphere of plants and animals will be undisturbed, and no toxic elements from the broken or leaking pipe will contaminate the area. By using minimal digging, and keeping the soil and aboveground plant life intact, this minimizes the damage to the environment. If you would like to find out more about how a trenchless plumbing repair can resolve your problem, do not hesitate to contact us or call us at one of our locations such as Dallas/Fort Worth, and San Antonio/Austin.